00:02 Hey guys. 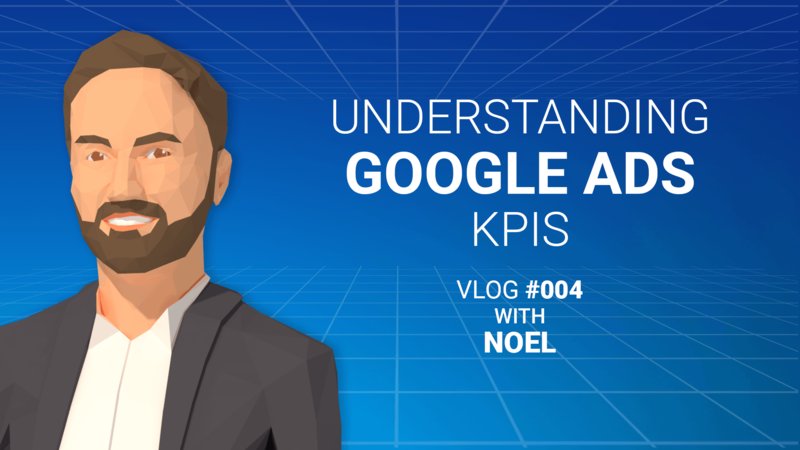 This is Noel from Electric Enjin, and this week I wanted to help you understand Google Ads KPIs for paper clip campaigns. Now, KPI stands for Key Performance Indicator. And what that is, is a variety of different metrics you can track in order to really see how effective your campaign is. Now, regardless of the campaign you are running, you wanna make sure that you're looking at your click through rate. But, for this video I wanted to discuss additional KPIs that are just as important starting with conversions. 00:27 Now, whether or not you want someone to download an eBook, sign up for a newsletter, or purchase a product all of these can be set as goals for your campaign. So, that any time someone carries out an action it translates into a conversion. You also wanna keep an eye out for your conversion rate. So, let's say I have 100 people visit my website. If 10 of those people sign up for my newsletter, that means I've got a 10% conversion rate. But, to really see your return on investment you definitely wanna make sure you look at cost per acquisition or cost per conversion. 00:55 Here you can see exactly how much money you're spending. So, let's say, hypothetically, I'm spending $100.00 and I have five conversions come through. That means that each conversion is coming at $20.00 apiece. So, if my product is typically $200.00, that means I'm getting a pretty good return on investment and it would be a campaign I would wanna keep running. 01:13 You also wanna look at your impressions. So, impressions are great because they're free. An impression counts as any time someone sees your campaign or views it but does not click on it. Now, your impressions are typically gonna be much higher than any other number. But, the great opportunity here is that it helps to build awareness and ultimately might lead to conversion whether or not someone sees it and clicks on it on the fourth or fifth time. 01:35 So, with these tips you can really help to improve your campaign, make sure that it's running effectively, and I wanna say thanks for tuning in this week. Make sure to tune in next week to keep getting tips from us.